... which just happens to belong to actress Julianne Moore. 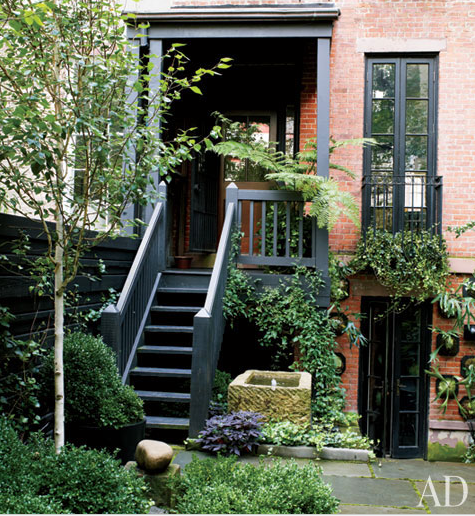 I love the hanging garden along the townhouse's brick wall. 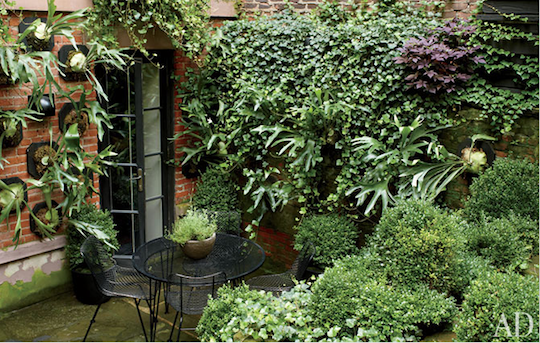 I love how the entire garden is made of potted greens and ivy. It's so simple, and unpretentious, and yet so beautiful. 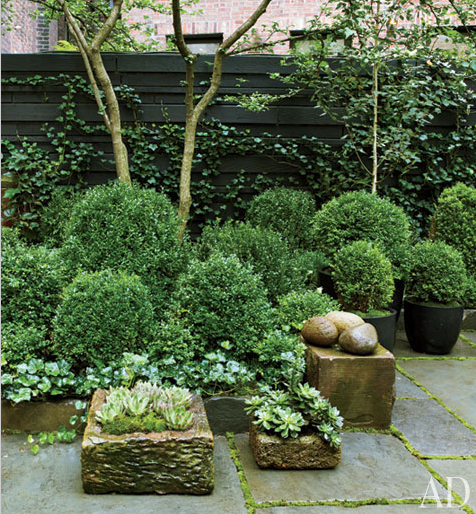 Garden designed by Brian Sawyer. Goodness! Can I just sit and read in that beautiful space all day long? So, serene & peaceful....beauty in simplicity....perfect! It's so green I love it! 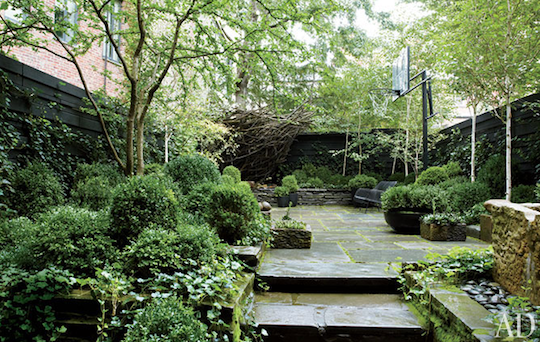 Ever since I started using Pinterest, I've become even more interested in yards and gardens. This one's great! I love Julianne Moore. I had no idea that she had such a great garden, but it matches what I thought of her. beautiful! I love everything about this. New York is one my favorite places in the world. 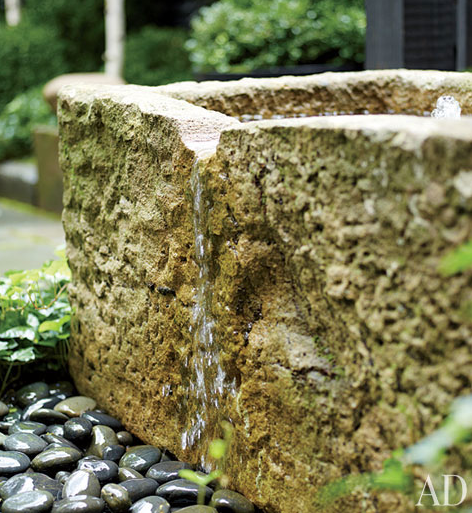 Oh my, that graden looks so beautiful. I just want to grab a book and spend the day there. Kisses, sweetie. Wow! I love love love it!